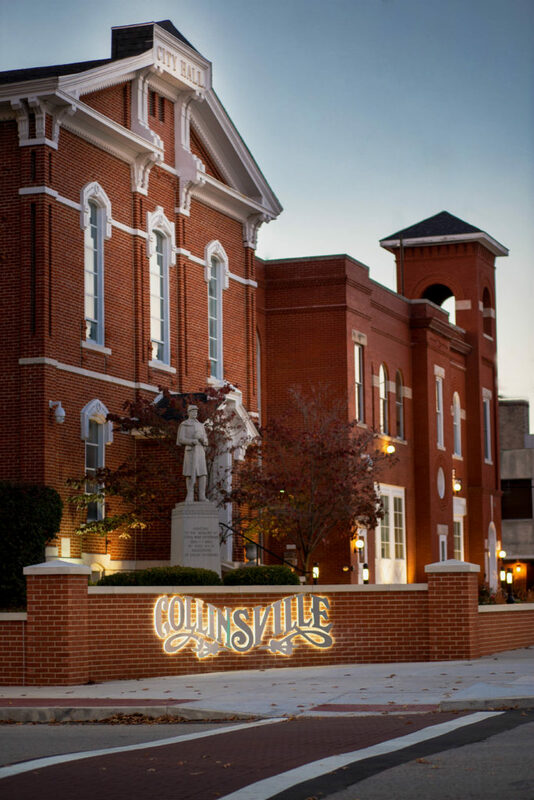 For decades, the City of Collinsville dealt with deteriorating infrastructure, vacant buildings, and a lack of foot traffic in their downtown business district. 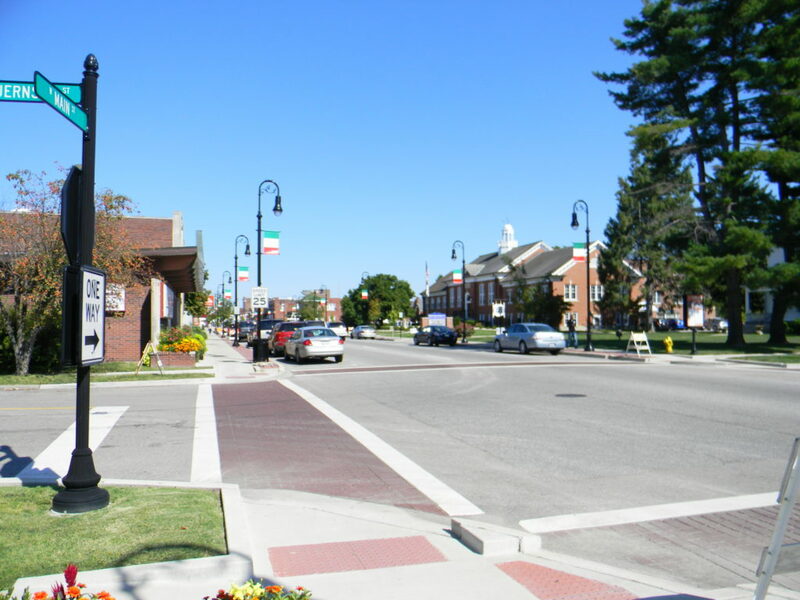 In 1997, a group of concerned local merchants and City staff began meeting to develop a plan to breathe new life into a forgotten area of the City. Rather than just replace crumbling sidewalks, the group felt a need to reinvent downtown by changing its appearance by making it more inviting, attractive, and unique. Their continued meetings eventually led to the development of a conceptual aesthetic “theme” for the area based on their research of historic downtown photos and postcards. 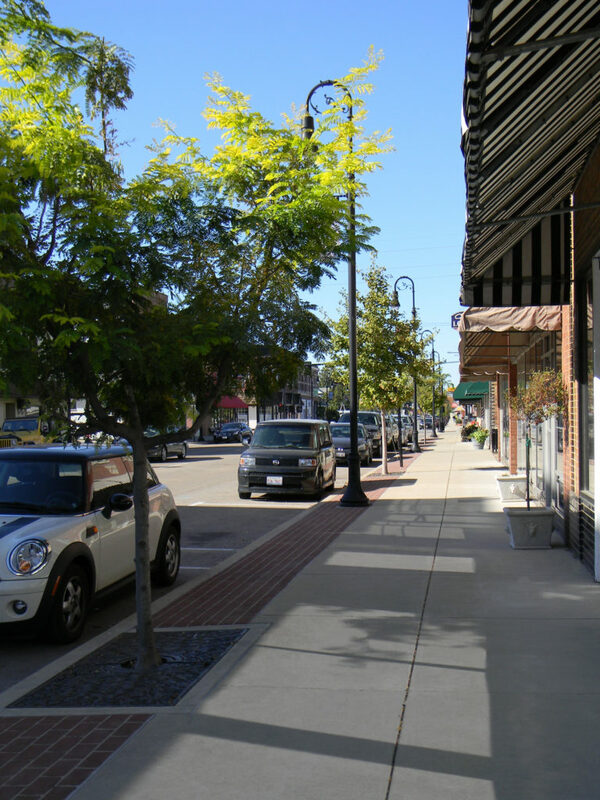 The City took the first steps in implementing the plan to renew a 13 block area of Collinsville’s downtown core business district in 1999 when they enlisted the help of Oates Associates to design and develop plans for the new improvements. Since this multi-phased project’s inception, Oates Associates worked with the City, from the Illinois Transportation Enhancement Program (ITEP) application for federal funds, to design and through construction. Design concepts have continued throughout each phase. Enhancements include the relocation of all aerial utilities underground, new concrete curb, sidewalk, brick stenciled and pigmented concrete sidewalks and asphalt crosswalks, handicap accessible ramps, ornamental lighting and street tree plantings. Oates Associates designed all civil aspects of the project. We also provided full-time construction observation, testing and documentation in compliance with state and federal guidelines.